California has just passed a measure that will limit which eviction records will be made available to landlords. While this law, which goes into effect January, 2017, covers landlords within the state, it may impact those across the country who are attempting to run tenant background checks on former California residents. The bill’s proponents say that the law protects tenants by concealing pending evictions until the landlord wins the case. However, landlords have expressed concern that those restrictions will impede their ability to properly screen tenants. 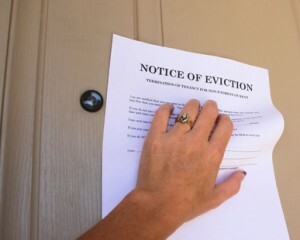 Under the new law, the current landlord either must win the eviction case within 60 days, or must go to trial and win before an eviction can be reported by the courts. Landlord groups opposed the law, arguing that even unproven allegations that a tenant is not paying rent or is breaching a lease agreement should be revealed to the next landlord, who stands to lose significant income by inheriting a problem tenant. These groups also argued that the law will give tenants cause to delay their eviction cases so their names are not reported while they are hunting for their next rental home. The bill passed the State Assembly by the narrowest of margins. The controversy highlights the difficulties landlords face when trying to weed out habitually bad tenants. A history of eviction is largely viewed as a deal-breaker when it comes to renting an apartment. That’s because eviction is a last resort for landlords and typically comes only after weeks of trying to resolve a tenant dispute, like failure to pay rent or complaints from other tenants. Eviction records are a crucial step in tenant screening. However, these records are only as good as the information that courts are willing — or able — to provide. While a past eviction will follow a tenant and flag a landlord of potential problems, pending evictions are more problematic, and may not show up in time. Unfortunately, it is during a pending eviction that a tenant is most likely to be searching for a new place to live. This is one reason why it is so critical to prequalify applicants by asking why he or she is moving, to obtain the applicant’s rental history on a rental application to see if the tenant is moving prior to the expiration of their current lease, and to speak with current and past landlords before making any decisions. Applicants should be asked about evictions in the rental application, and sign a declaration that the information they provide is true and complete. It’s also important to collect accurate contact information on an applicant, because evictions typically are filed under the tenant’s full legal name. Ask the tenant if they’ve used any other names before running tenant screening reports. In addition to an eviction report, landlords can avoid income loss by running a credit report on the rental applicant. That may show unpaid rent, or undisclosed previous addresses, both possible signs of a prior eviction. Also, run a criminal background check. This could flag a previous fraud claim, reveal an undisclosed previous residence, or explain gaps in the applicant’s rental history. Using tenant screening reports in tandem is the most likely way for landlords to uncover information that a rental applicant may be hiding, and to minimize income loss.